Favorite breed: Bordeaux Dog, Carlino-Pug, Bullmastiff, French Bulldog. Specialist in canine education and the recovery of dogs with behavior problems. Favorite breed: German Shepherd, Rottweiler, Dobermann, Ciobanesc mioritic. Specialist in canine education and working exams. Favorite breed: Pitbull, Labrador, Ciobanesc German, Chow-Chow, Rottweiler. Specialist in pet discipline, in training for working exams. Favorite breed: Beagle, Shar-pei, Bichon Frisee, Ciobanesc German, Golden Retriever, Caucazian, Husky Siberian. Specialist in pet discipline services. Favorite breed: Rottweiler, Golden Retriever, Cocker, Westie, Bullmastiff, Samoyed. Specialist in pet discipline and dog-sitter services. Favorite breed: Golden Retriever, Caucazian Shepard, Boxer, Saint-Bernard, Shar-pei, Am Staff. 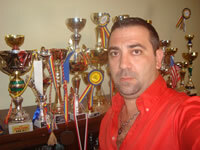 Specialist in pet discipline and in pet training and security guard. Favorite breed: Rottweiler, Ciobanesc Belgian, Ciobanesc German, Bichon, Ciobanesc Caucazian. Favorite breed: Labrador, Westie, Rottweiler, Ciobanesc Mioritic, Ciobanesc german. 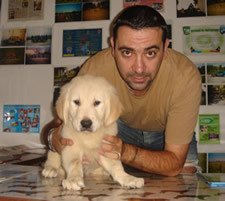 Specialist in pet training and taxi – dog services. Favorite breed: Rottweiler, Labrador Retriever, Boxer, Bulldog englez. 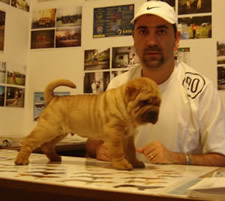 Favorite breed: Jagd Terrier, Brac German, Fox Terrier, Viszla Maghiar, Copoi ardelenesc. Specialist in hunting dogs training. Favorite breed: Bichon, Rottweiler, Ciobanesc Belgian Malinois, Ciobanesc German, Ciobanesc Caucazian. Favorite breed: York Shire Terrier, Labrador, Westie, Beagle, Bulldog englez, Bichon Maltese. Favorite breed: Chow-Chow, Bichon Frisee, Golden Retriever, Ciobanesc Caucazian.